Daniel Brown only made his GB Rowing Team para-rowing debut in 2014 but is already a Paralympic Games gold-medallist and double World Champion. Daniel Brown helped the PR3 (formerly LTA) mixed coxed four to World Championship gold in both 2014 and 2015, setting a world best time along the way. He continued an impressive, unbeaten start to his international rowing career by winning a Paralympic gold in memorable fashion on the Lagoa Rodrigo de Freitas in 2016. Brown was once again selected in the PR3 mixed coxed four along with Grace Clough, Pamela Relph, James Fox and cox Oliver James for the Rio 2016 Paralympic Games. A combination of illness and injury meant they did not make a competitive appearance until the heats of the Rio 2016 Paralympic Games but they quickly found their rhythm to secure a convincing victory. The 2015 season saw Brown and his crewmates once again prove that they were the boat to beat. During an outstanding World Cup in Varese, the four set world-best times on consecutive days as they won gold in emphatic style. The World Championships in Aiguebelette proved to be a much tighter affair, but the GB crew dug deep to see off a strong challenge from the United States and went on to retain their title. In 2014, Brown had made his international debut alongside the same crew mates at the World Championships in Amsterdam. It proved to be a successful start as he helped GB secure an impressive clear-water victory, turning on the power to finish five seconds ahead of the United States. Brown started rowing in 2010 at Reading Rowing Club. 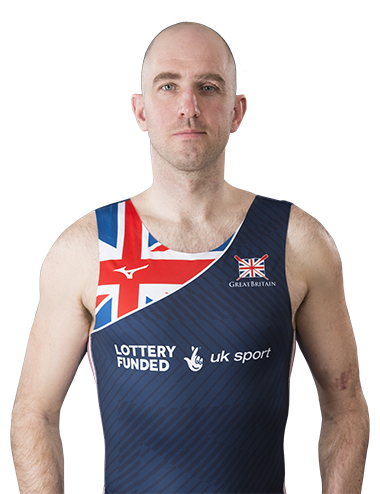 In 2012 he moved to Upper Thames Rowing Club and raced domestically for the club until he joined the GB Rowing Team Para-Rowing squad in September 2013. A keen footballer as a teenager, Brown was playing for a team in Wokingham when his career was cut short by injuries sustained in a car accident. This accident started his search for a sport that didn’t impact on his ankle and that made allowances for severed nerves in his left wrist and fingers – a search that eventually led him to rowing. Outside of the boat, he is a keen cyclist and an enthusiastic parent to his daughter, Paige.